The influence of particle size distribution and organic matter on the toxicity of copper was investigated using the nematodeCaenorhabditis elegans as testorganism. Sediments taken at various depths from three lakes of different trophic status and artificial sediments were spiked with sublethal concentrations of CuSO4. After an exposure of 72 h to spiked sediment or liquid medium, body length of the nematodes was determined. Both artificial and natural sediments reduced the effect of copper, with natural sediments being more effective. In natural sediments worms grew normally at concentrations of copper up to 63.5 mg/L, whereas in artificial sediments body length was reduced at concentrations of 11.3 mg Cu/L or higher. 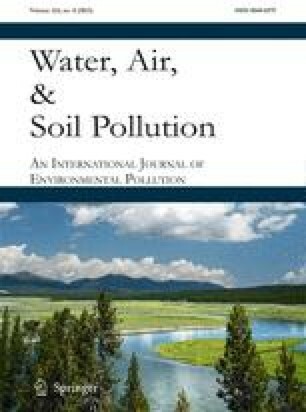 Body length was positively correlated with content of fine particles and organic matter, indicating that particle size distribution and organic matter are determinant factors for the ecotoxicology of sediments.